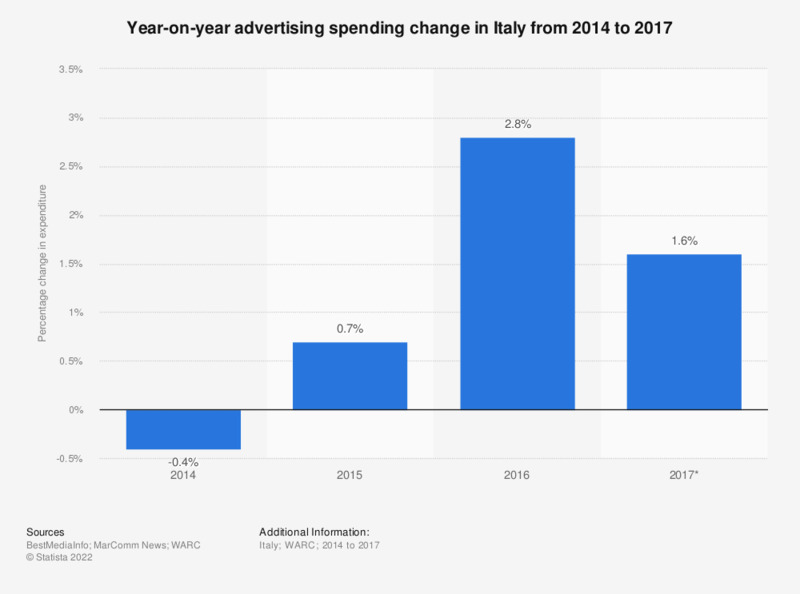 This statistic shows the year-on-year advertising spending change in Italy from 2014 to 2017. In 2017, the advertising spending will increase of about 1.6 percent compared to the previous year. Data concerning previous years were found on different sources.